Ranging from photo-based pictures to gestural abstraction, Gerhard Richter's diverse body of work calls into question many widely held attitudes about the inherent importance of stylistic consistency, the inaturali evolution of individual artistic sensibility, the spontaneous component of creativity, and the relationship of technological means and mass media imagery to traditional studio methods and formats. Unlike many of his peers, he has explored these issues through the medium of painting, challenging it to meet the demands posed by new forms of conceptual art. In every level of his varied output--from his austere photo-based realism of the early 60s, to his brightly colored gestural abstractions of the early 80s, to his startling cycle of black-and-white paintings of the Baader-Meinhof group--Richter has assumed a critical distance from vanguardists and conservatives alike regarding what painting should be. The result has been among the most convincing renewal of painting's vitality to be found in late 20th- and early 21st-century art. 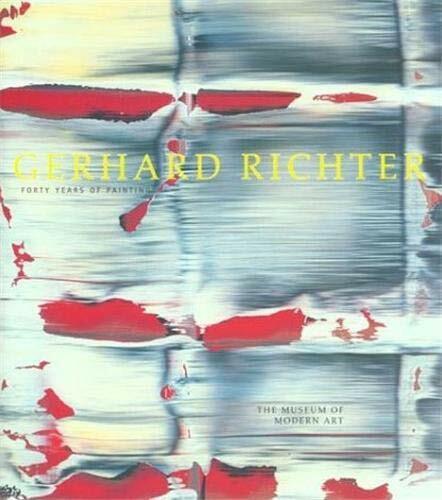 With an extensive and insightful critical essay by curator Robert Storr, a recent interview with the artist, a chronology, an exhibition history, and nearly 300 color and duotone reproductions, Gerhard Richter: Forty Years of Painting marks a significant contribution to the understanding of contemporary art in general, and Gerhard Richter in particular.